Clarence Saunders invented the modern grocery store when he opened his first Piggly Wiggly in Memphis, Tennessee, in 1916. Saunder’s stores cost less to operate, gave shoppers the opportunity to make impulse purchases, and had lower prices than any competitor could afford. Within a year, Saunders had patented Piggly Wiggly and sold franchises. Within five years, there were over 600 stores across forty states. Clarence Saunders changed the world in many ways, but his most spectacular financial adventure happened in the 1920s in the wild pre-1929 crash days of the New York Stock Exchange. In February 1922, Piggly Wiggly Stores, Inc. was listed on the New York Stock Exchange (NYSE). 50,000 shares were sold at a total value of more than $2 million dollars. By November, the success of the company led Saunders to announce a second issue of stock. Saunders, Piggly Wiggly and the corporation were at the top of their game. It seemed to everyone, including himself, that he had the Midas touch. Owned shares of stock are like money in a bank. They have a value and can be loaned and traded by brokers like money in a savings account. To short sell a stock, one borrows shares and sells them at the highest price possible. When the stock falls to a lower value, the short-seller buys back the same number of shares for less than they were sold. The shares are returned to the lender, and the short seller keeps the difference. However, when the lender calls for the stock to be returned, the short-seller must do so by the next afternoon. If the price of the stock rises, the short-seller must buy shares back at a higher price than they were sold, losing the difference in value. 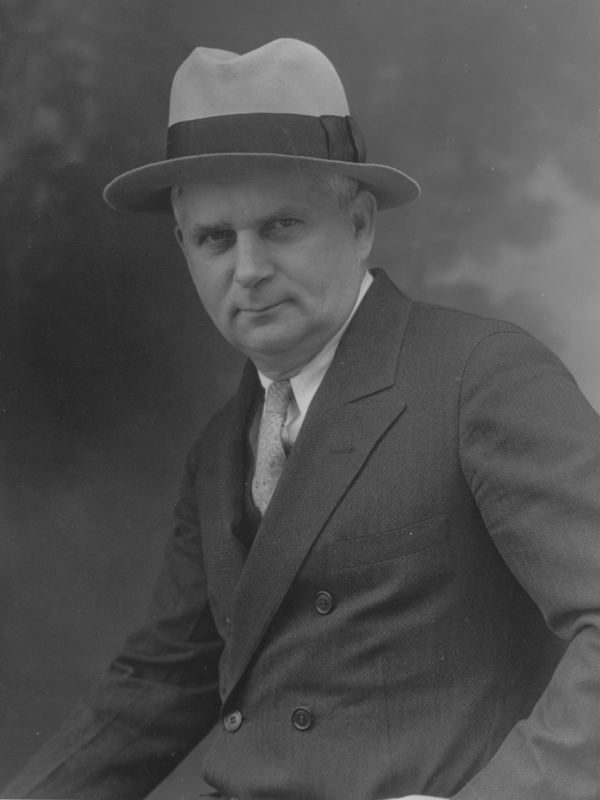 Clarence Saunders saw the short-sellers as having insulted him, his company, Memphis and the South. In retaliation, he attempted to counter the bears by executing a corner in his own stock. A corner occurs when all of the available shares of a stock are owned by an individual or pool of individuals. It traps the bears by driving up the price of the stock and making it difficult for them to find shares to pay back what they owe. Saunders borrowed tens of millions of dollars, secretly drained Piggly Wiggly’s treasury, and used his personal fortune to purchase the stock. By March 1923, Saunders claimed that he controlled 198,872 shares of the outstanding 200,000. On March 20, Saunders called for the delivery of all of his shares. The bears were trapped since he owned most of the shares they had borrowed. The price per share soared above $100. Saunders knew that the short-sellers could not purchase enough in time. It seemed that a stock trading rookie had beaten the market at its own game. Saunders’ profit on paper was in the tens of millions…at least for a few hours. After the market closed that day, the Exchange announced a suspension in trading Piggly Wiggly stock and an unspecified extension of the normal one day that short-sellers had to deliver their borrowed stock. Saunders was incredulous. He still demanded that his stocks be delivered by 3:00 PM the next day at a price of $150 a share. The next day, Piggly Wiggly was permanently stricken from the NYSE, and short-sellers were given five extra days to present the stock to Saunders. The first pronouncement hurt the company; the second ruined Saunders. The five extra days gave the short-sellers time to search out every available share of Piggly Wiggly. Small investors who had held onto the stock for the long term received offers to sell for a large profit. All of the short-sellers repaid Saunders in shares of now nearly worthless Piggly Wiggly stock by the new deadline. Saunders owed his creditors millions. The company’s treasury was broken. It is still a matter of some discussion as to whether Saunders was cheated. At the time, there were very few government oversights on the market. The laws of trading were the bylaws of the Exchange. By those rules, the Exchange had the right to suspend trading of any security. The real problem was the extension of time given the short-sellers. It was this extension that broke Saunders’ corner, giving them time to find all the outstanding shares they needed. It was only a matter of time before Saunders was forced to put his stock, his company and his personal property, including his unfinished “Pink Palace,” on the public auction block to pay his debts. Thanks. Good explanation of sort sales. On can only imagine what might have been if Clarence had triumphed.